The Final Four have finally been lined up to compete for the 2019 March Madness Championship! Learn more about the channels streaming the games, and how to access them from abroad, here. If you’ll be out of the country for the March Madness games, you’ll need a reliable VPN to gain access to the channels streaming them. ExpressVPN is our recommendation for the best VPN to watch March Madness Final Four games. The 2019 NCAA Men’s Basketball tournament is onto the Sweet 16 stage and all of the top seeds in the country are still in contention to be crowned the best in the nation. While much of the attention in the tournament has been focused on Duke and its teenage phenom Zion Williamson, the Sweet 16 features many names NBA fans will soon know well, like Gonzaga’s Brandon Clarke, Tennessee’s Grant Williams, and Williamson’s teammate RJ Barrett. Here is a quick look at what is to come as the most elite teams in the country face off with a ticket to the Elite 8 on the line. Gonzaga has been a Final Four contender all year, leading the country in scoring (88.6 ppg) and dominating opponents by an average margin of 23.9 points while dropping just three games. Rui Hachimura leads the team with 19.7 ppg but Brandon Clarke (17) and Zach Norvell Jr. (15.1) are both future NBA stars as well. Clarke is one of the most exciting players in college right now and is an absolute menace in the paint. To advance, Gonzaga will have to best a tough Florida State team that has won 16 of their last 18 and upset the Bulldogs last year in a 15-point win despite coming in as a 6-point underdog. Tennessee is coming off one of their best seasons ever, finishing in the top 10 in the country in scoring (81.6 ppg) and shooting percentage (49.6%). The team saw all five of its starters average double-digits scoring per game, with Grant Williams averaging 18.8 ppg and 7.5 rpg and Admiral Schofield adding 16.4 ppg and 6.1 rpg. Keep an eye out on junior guard Jordan Bone and senior guard Lamonte Turner as well, which can be hard to do with this much talent on one roster. Purdue is a very tough opponent and has held opponents to under 60 ppg over their last nine games. The Boilermakers have won 8 of their last 10 and are holding opponents to just 36 percent shooting over that stretch. Michigan is coming off of two 15+ point wins and has won eight of its last 11, with all three wins coming against the Michigan State Spartans. The Wolverines are led by freshman forward Ignas Brazdeikis, who has finished with double-digit points in 9 of his last 10 games. Jordan Poole (12.9 ppg) and Charles Matthews (12.2 ppg) form a strong backcourt and the team has had great success in the tournament, going 53-23 all-time in March Madness. Texas Tech is red hot with wins in 11 of their last 12. Their defense has held opponents to under 63 ppg over that stretch. Virginia has long been atop many March Madness brackets thanks to a downright elite defense that ranks first in the nation with just 55 ppg allowed to opponents. Though Tony Bennett’s defense deserves much of the credit, the Cavaliers are strong on the offensive side too with De’Andre Hunter putting up 15.2 ppg and 5 rpg alongside Ty Jerome (13 ppg, 5.3 apg), and Kyle Guy (15.1 ppg). The team also features a deep bench and is shooting 48% from the floor as a squad. Don’t count out the Cinderella Ducks, though, who are the only backend team left in the tournament. Junior guard Payton Pritchard is putting up 18.5 ppg and 7.5 apg in the tournament and the team as a whole is shooting 50% from three. Michigan State has been playing elite basketball on both sides of the court, averaging 121.6 points per 100 possessions (4th in the country) on offense while holding teams to 90.3 points per 100 possessions (8th in the country) on defense. Big Ten Player of the Year Cassius Winston is averaging 18.9 ppg and 7.5 apg, aided by Joshua Langford (15 ppg) and Nick Ward (13.7 ppg, 6.2 rpg). The team shot 57% in their blowout win of Minnesota while holding the Golden Gophers to 30.5 percent shooting and 2-of-22 from deep. LSU will rely on an offense that finished second in the SEC with 80.9 ppg. Guard Tremont Waters led the team with 15 ppg and the SEC with 5.9 apg. North Carolina has been on a tear, losing just one game in the last six weeks in a one-point loss to Duke. UNC won their first two tournament games by an average of 18.5 points as their offense scored over 80 in both contests, which is no surprise after they put up 86.1 ppg all year. Their lineup features four players averaging double-digit points: Cameron Johnson (16.9 ppg, 5.8 rpg), Coby White (16.1 ppg, 4.1 apg), Like Maye (14.9 ppg, 10.6 rpg), and Nassier Little (10 ppg, 4.7 rpg). Auburn’s offense may be just as good, averaging just under 80 ppg and winning 10 straight coming into this game. Keep an eye on senior guard Bryce Brown (15.9 ppg) and junior guard Jared Harper (15.3 ppg, 5.7 apg). No team has gotten more attention in the tournament than Duke, whose lineup features not only consensus No. 1 NBA Draft pick ZIon Williamson but also fellow freshman RJ Barrett, who may well go second in the draft. Williamson’s 22.5 ppg, 8.8 rpg, 2.1 spg, 1.7 bpg, and 68.4% shooting don’t even come close to displaying just how much ability the 18-year-old has and Barrett’s 22.8 ppg, 7.7 rpg, and 4.1 apg make for an unstoppable duo. The team was stifled somewhat against Tacko Fall and UCF, eking out a 1-point win, and lost to Virginia Tech by five points in February, albeit without Williamson, who was injured. But the Hokies won without injured starting point guard Justin Robinson (13.4 ppg, 5 apg), who will also be back for this one. Kentucky has been a March Madness powerhouse under coach John Calipari, winning 6 of 7 Sweet 16 games since he took over the program. Kentucky’s shutdown defense has held opponents to under 57 points in 4 of their last 5 games while putting up one of the best starting fives in the country. The offense is led by PJ Washington (14.8 ppg, 7.5 rpg), Tyler Herro (14.1 ppg, 4.6 rpg), and Keldon Johnson (13.6 ppg, 5.7 rpg) but keep an eye on Reid Travis, a tough defender who is averaging 16 ppg and 10 rpg through the Wildcats’ first two March Madness games. Houston is no pushover, however, and Corey Davis Jr. has played stellar ball, putting up back-to-back 20-point games in the tournament after averaging 17.1 ppg all year. If you’ll be out of the country for the March Madness games, you’ll need a reliable VPN to gain access to the channels streaming them. 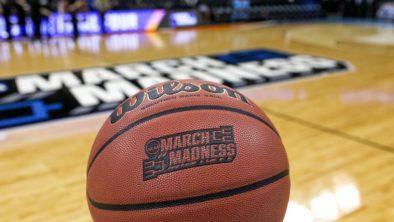 ExpressVPN is our recommendation for the best VPN to watch March Madness Sweet 16 games.